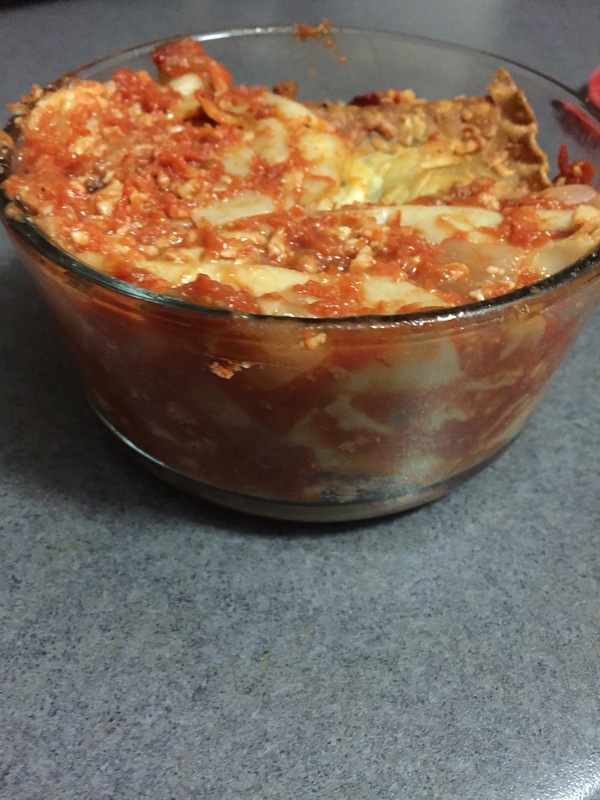 Lasagna is surprisingly easy to make, especially because it is super flexible to suit your needs. In my recipe, there is marinara sauce, béchamel sauce and then whatever else you want to include with the layers of noodles. I’ve been leaving out the béchamel sauce lately because I avoid dairy wherever possible. In the place of béchamel sauce, I’ve melted Daiya cream cheese (basically, vegan cream cheese) and worked with that. I like using pesto or spinach, personally. Don’t forget a layer of Bolognese Sauce– left over from a previous recipe.